Would you like your perky breakfast frank dressed with mustard or smothered in chili? Recently Tokyoites craving a change from the traditional piece of grilled fish, seaweed, and rice mixed with sticky fermented soybeans have been flocking to cafes offering special “morning set” breakfasts. These exotic “Western” style combos feature the kind of food it’s believed that foreigners pound down to start their day right: green salad and hot dogs. Green salad and hot dogs?! 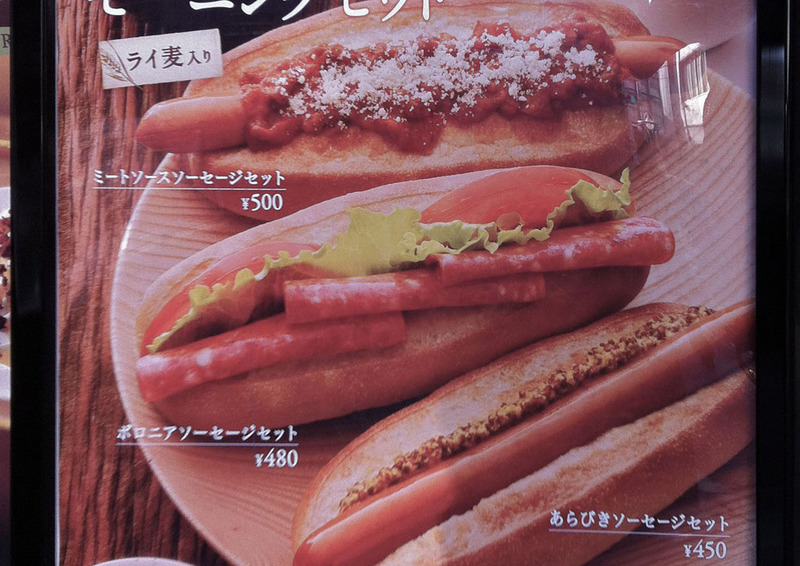 Okay, I have to admit, I haven’t been able to find any excuse for the salad thing, but my theory about the hot dogs is that authentic “American breakfast” sometimes does feature sausage, and a hot dog could be considered a kind of sausage, so it belongs in the elf-dwarf confusion category. The nuance that dictates one kind of sausage be eaten with a cup of joe while doing one’s morning Facebook un-tagging, and the other be enjoyed only when surrounded by a ballpark, gets lost in the cultural translation somehow. That said, check out the variety of dogs on offer! The Cafe de Crie offers a choice between two dogs and a “baloney” sandwich on a hot dog bun. KFC’s breakfast combines the salad and dog into one easy-to-wolf-down sandwich. 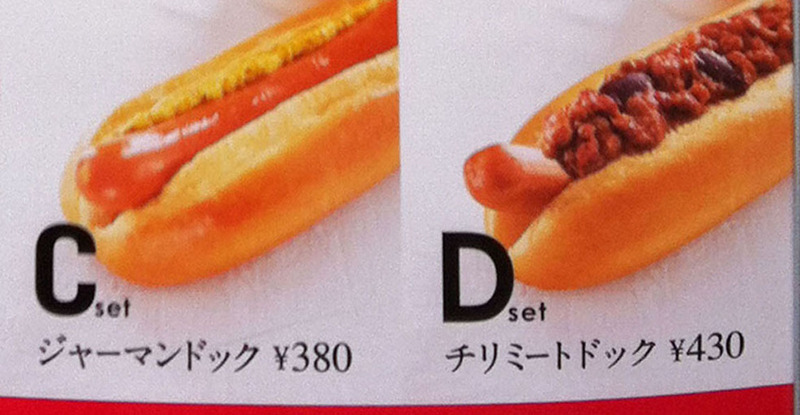 I wonder what “foreign” taste delight is in store for those who order the “sesame dog” with catsup and mustard? 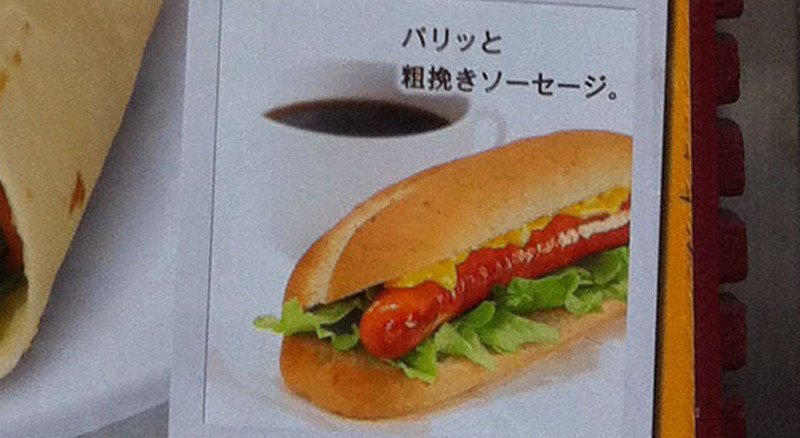 For the biggest bargain of all, ¥360 gets you a hot dog baked in a bun, a cup o’ coffee, a banana and an egg at the Vie en France!